Just Released TODAY is a simple yet scrumptious online slot. Dollars to Donuts will leave you wanting more of that sweet after taste in your mouth. This Classic Styled 3 reel slot has Bars and 7s on it, with of course its own sweet treat of a yummy pink Donut. Rival Games the creators of this wonderful entertaining slot kept all players in mind. Players can’t bet to high on this game as it doesn’t pay out as much as a bigger slot would. Not to say it doesn’t pay well. For example if you line 3 pink dollars to donuts symbols betting the max which is 3 coins, your payout will be 3000X your bet amount. You as the player can choose from betting 1-3 coins per 5 paylines and more it doesn’t end there. This slot however doesn’t have any Bonus Games BUT Dollars to Donuts does offer free spins, multipliers and plenty of symbols and combinations of symbols that payout. One of the symbols you will want to look out for is obviously the appetizing pink Donut. Credits will be awarded when you get 2 or 3 of these delightful treats on a line. 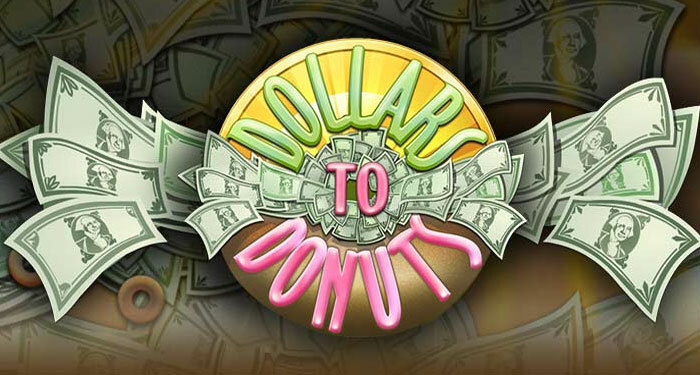 The wild symbol for Dollars to Donuts would be none other than the logo of the game. Keep your eyes peeled for these two symbols if you want to win big! New games are always fun. Even though some people like sticking to what they know but every now and then something new or even a small change can be good. It could even turn out being enticing. You will never know until you try this delectable slot. 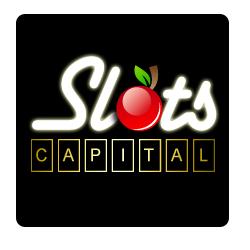 To play this slot now at Slots Capital Casino Click here!